In addition to the General Headquarters, the União do Vegetal has 212 Núcleos and Distributions of the Vegetal, located in all of the Brazilian states and in eight other countries: The United States, Portugal, Spain, Switzerland, the Netherlands, Australia, Italy and Peru. The Núcleos welcome the members of the União do Vegetal. They are places that have temples where the rituals of the UDV take place, the sessions where members drink the Hoasca tea for the effect of mental concentration. They also have appropriate structures for the preparation of the tea, made by cooking two Amazonian plants: the Mariri vine and the leaves from the Chacrona bush. These two plants are cultivated in most Nucleos. Each Núcleo of the União do Vegetal has a Representative Mestre who is the maximum local authority and who is subordinate to the Central Mestre of his region. Núcleos have local Directorates whose function is to materially manage the facilities, work for the material organization and perform related activities related to the works of the União do Vegetal, such as beneficent activities and environmental preservation. The Representative Mestres and local Directorates are elected every three years and work on a volunteer basis. 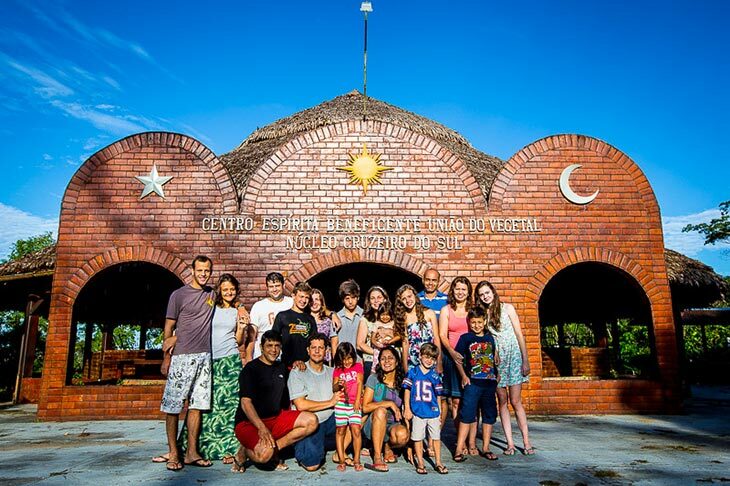 Distributions are connected directly to a source Núcleo and they are formed as needed, based on the growing number of members or the interest of people in opening the spiritual work of the UDV at a certain location. In the same way as the General Headquarters and Núcleos, Distributions of Vegetal hold sessions, prepare vegetal and cultivate Mariri and Chacrona.